The baby gift basket is made from light brown wicker. The basket makes a handy storage caddy for the nursery. 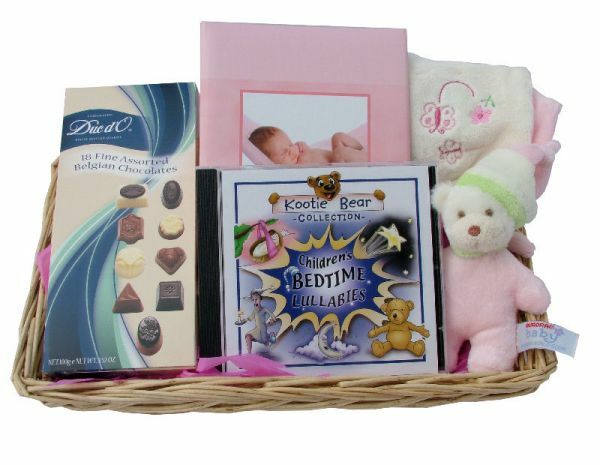 This baby gift basket has a little something for the new mum and the newborn. 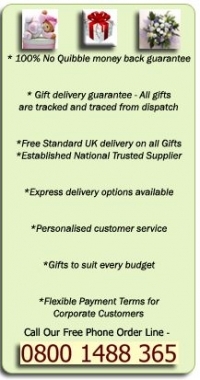 It contains; a super soft teddy comforter with detachable teddy bear, a Henzo photo album with space for 100 6 x 4 photographs, a soothing lullaby cd and some delicious luxury Belgian chocolates for mum. 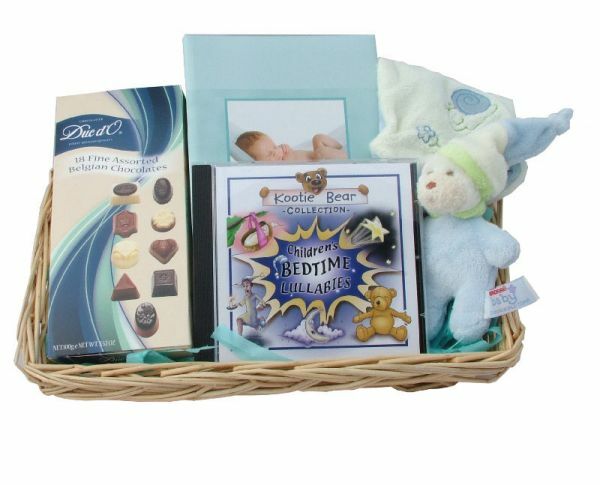 With free UK postage this baby basket makes an ideal gift to give.